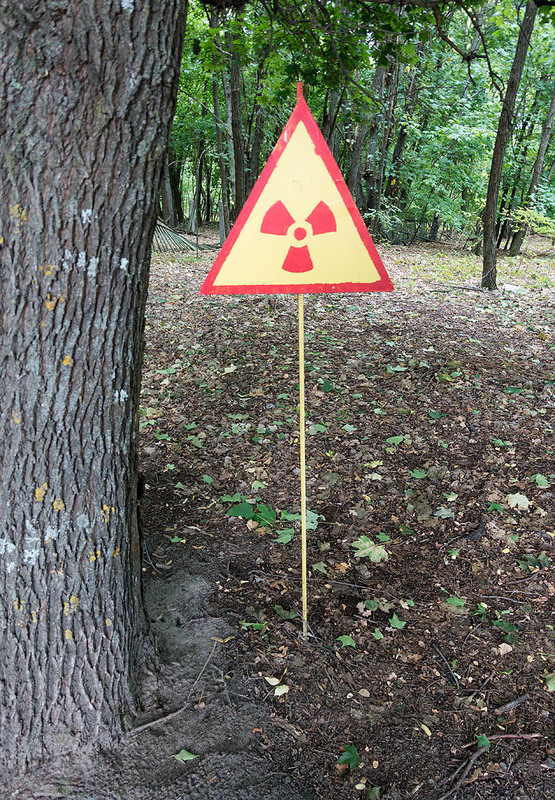 Many pockets of high level radioactivity remain all over Chernobyl exclusion zone. Some are marked as can be seen here but most are not. The most dangerous elements include caesium and strontium which are present in the soil. Scientists were expecting a reduction in radioactivity that mysteriously has not happened yet. Some of the less common particles like plutonium may remain active for many thousands of years.